In line with Lexus’ philosophy to inspire beyond expectations, INTERSECT BY LEXUS has quickly become the new destination for cosmopolitan urbanites of Dubai, attracting budding entrepreneurs, established businessmen, the quirky artistic crowd, and the stylish fashionistas, as the unique design and immaculate décor cater to all those in search of a more culturally stimulating environment. 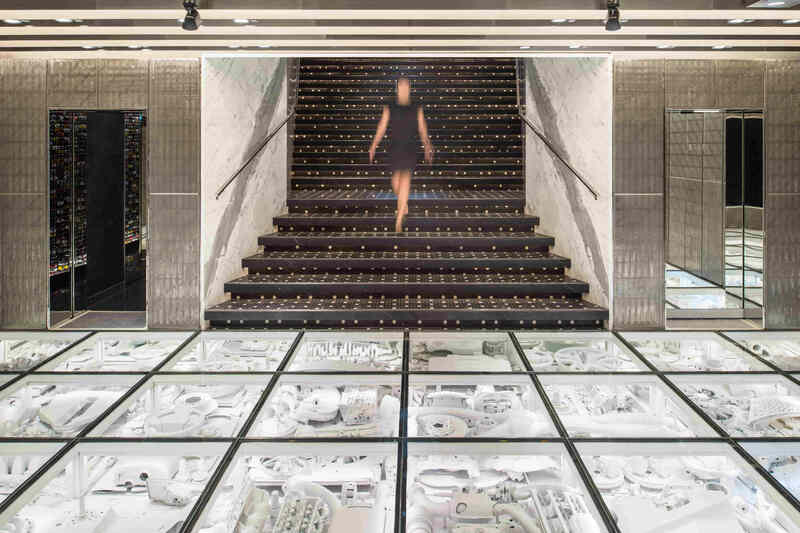 The space is designed by Masamichi Katayama, the world-renowned interior designer and founder of the interior design firm Wonderwall. 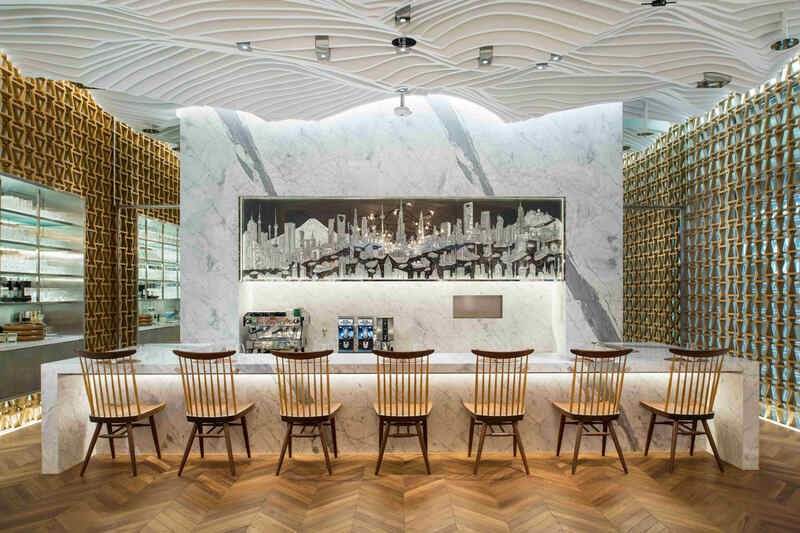 Using muted color palates, industrial pieces, geometric shapes and sleek lines, the funky design elements capture both the vibrant life of DIFC and the understated cool that INTERSECT BY LEXUS attracts. The juxtaposition of contemporary design and chic elegance capture the youthful and edgy aspects of this new endeavor of Lexus which is the result of this creative space that has given a fresh look to the luxury Lexus brand. 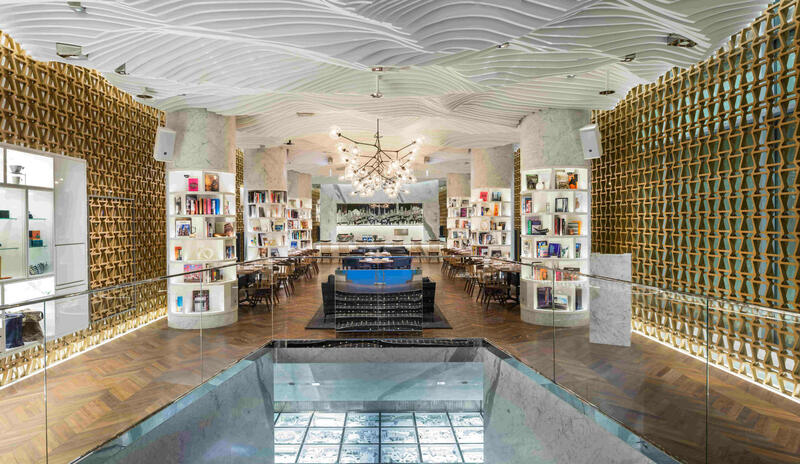 The use of space is key in the two-floor INTERSECT BY LEXUS as the first level opens up into an exceptional eatery and library that are engulfed in eclectic décor. It features some special local touches that evoke the essence of the UAE through the beautiful off-white ceilings which are inspired by sand dunes and create an endlessness to the space. The lower garage level of INTERSECT BY LEXUS is equally as breath taking and designed with the same immaculate craftsmanship and attention to detail. The spindle grille shapes are seen again in the staircase which mimics that of tire tracks and uses hexagonal black and white tiles to take you into the mind of Lexus design philosophy. This enthralling staircase leads you into an ultra modern garage displaying a Lexus concept car. 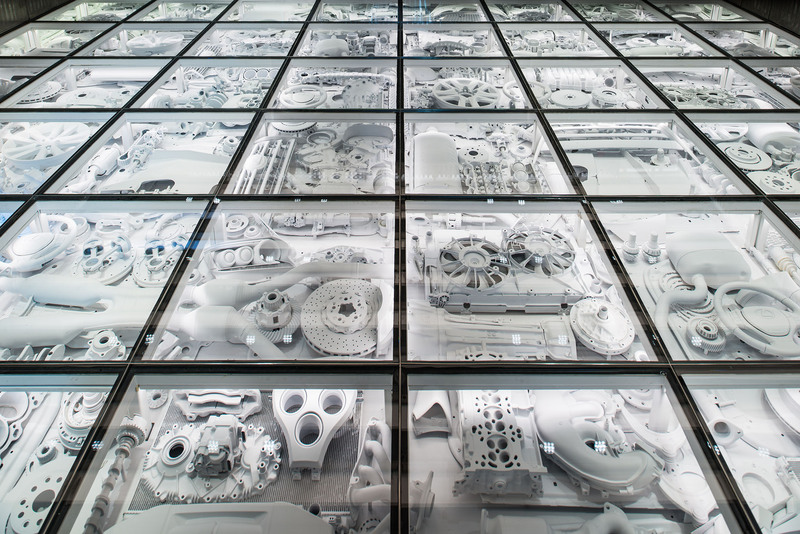 The transparent floor features 155 Lexus car parts which have been painted in a luminescent, bright white that allows the floor to glow and mesmerize guests. 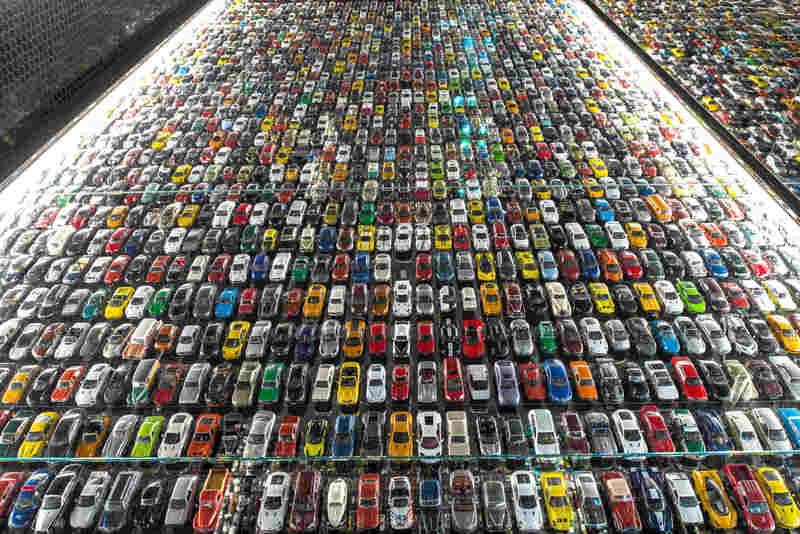 Adjacent to this futuristic garage is a meticulously designed wall full of hundreds of miniature toy cars, featuring various generations of Lexus cars and displaying the powerful mark that Lexus has left on the car industry. INTERSECT BY LEXUS is kicking off the holiday cheer with a bespoke festive menu that will be available daily throughout the month of Decemeber, with three special events at the centerfold including a pre Christmas brunch, Christmas eve dinner and a Christmas Day brunch. Guests can enjoy either 3 or 4 course menus, full of brand new dishes crafted especially for the holidays in the innovative kitchen at INTERSECT BY LEXUS. The gastronomical take on festive classic cuisine include starters like Pan Seared Scallops with Brussel Sprout Purée, Pomegranate and Pancetta or mouthwatering mains like Wagyu Beef Tenderloin with Figs, Green Beans and Jus to Sous Vide Turkey Breast with Smoked Parsnip Purée, Asparagus and Turkey Stuffing wrapped in Savoy Cabbage. Following the same principle of contemporary festive food is the dessert menu with original options like Glazed Cranberry Cake with Eggnog Espuma! Burrata – Although it tasted great, it had a few segments that were way too stiff for my liking ???? Wagyu beef tenderloin – Cooked and seasoned to perfection! Crispy on the outside and super juicy on the inside.